Would you like to have a timely notification that your class or social event is canceled, or that there is an issue at the Lake House which would prevent you from using the equipment? 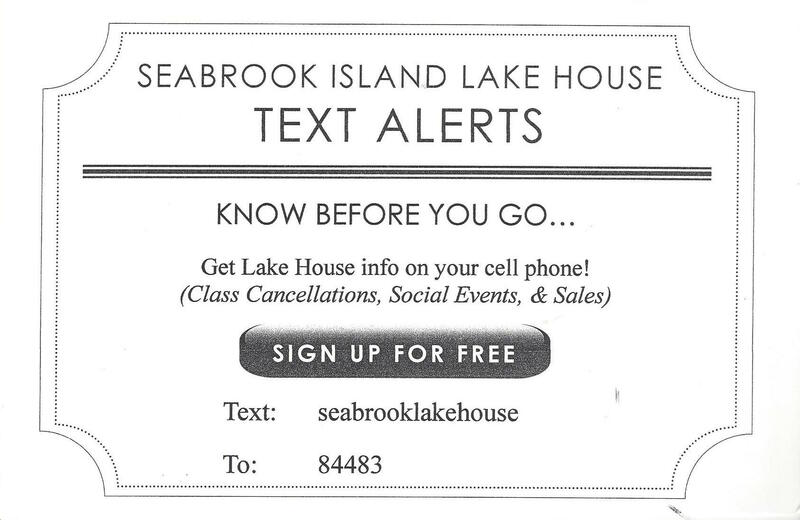 Sign up now for the Lake House Text Alerts! It’s surprisingly easy to sign up for this service. Begin by opening the text feature on your phone. Initiate a text to the number 84483 and text “seabrooklakehouse” into the message box and press Send. 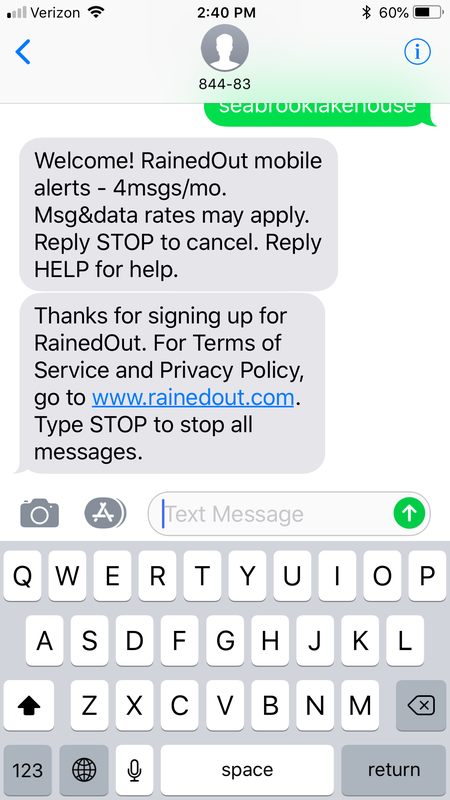 If at any time you wish to discontinue the service, or even stop it temporarily, simply respond STOP to any text alert from The Lake House that you’ve received. If you wish to resume, simply repeat the steps above. Please note that you can’t individualize the text messages you receive. In other words, you will receive all Lake House notifications, not just for a particular class or event.